The Woodlands Youth Rugby Club (“Woodlands Rugby”) is a non-profit youth sports organization with the mission and vision to expose, encourage and facilitate access to rugby to young members of our community from Kindergarten to 12th grade. While many of our players come from north Harris and south Montgomery counties, players from any and all school districts are accepted, allowing players to bond with a diverse group of teammates from all over the Greater Houston area. 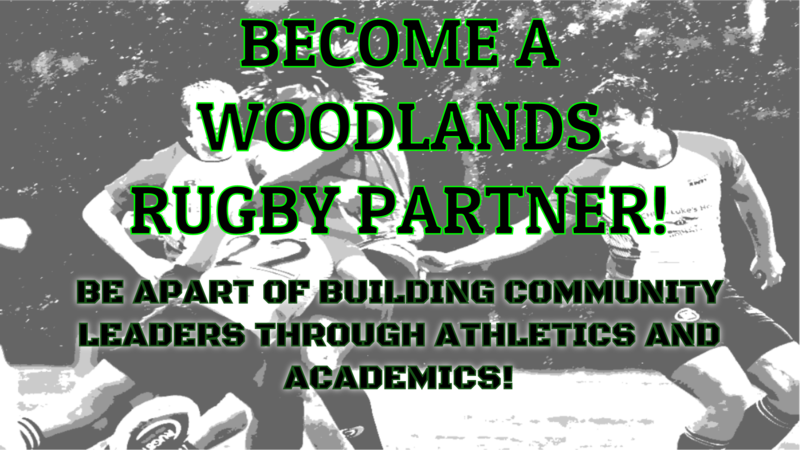 Woodlands Rugby impacts the community in many ways, one by providing its players the opportunity to interact with a very diverse group of teammates and competitors. Also with Rugby being the fastest growing sport in the United States our players and spectatators have the opportunity to meet other players throughout the United States as well as internationally. We have hosted teams from Mexico, Wales, Argentina, New York, New Mexico, Illinois, Missouri, Louisiana, as well as, many teams from here in Texas which has brought revenue and interest to our community and fellow partners. Rugby is a unique sport that accommodates players of different abilities and body types. Male, female, tall, short, slight of build, heavily muscled they all have a place on our rugby teams. It's a sport that fosters a love of the game and deep sense of camaraderie which lasts well into adulthood. The Club teaches good sportsmanship and emphasizes the highest level of conduct in the players who represent it. We have an elite class of coaches who all serve on a volunteer basis. Since its inception in 2008, our club has sponsored players with financial needs providing either deferred, reduced and in some cases free registration, as well as, assisting those players with travel expenses so they could attend away matches, tournaments and playoffs. Woodlands Rugby works really hard to keep registration costs at the lowest level possible and will continue to provide deferred payment plans for all families. Additionally, we provide need-based partial and full scholarships for children from disadvantaged families. This is especially beneficial as we continue to expand our Club to include players from schools in areas outside of The Woodlands. Due to increased costs for reserving fields, player insurance and securing referees, we are unable to continue funding scholarships at the same level as in prior years if we want to keep registration costs low and continue to offer deferred payment plans. Scholarships are funded one of two ways, either through your typical fundraising efforts or through corporate sponsorships. Therefore, your help in regard to this mission is greatly appreciated. Woodlands Youth Rugby Club is a 501(c)(3) non-profit oraganization. All donations are tax deductibe. CLICK HERE FOR MORE INFORMATION ON HOW TO BECOME A PARTNER!!!!! Thank you to our 2017/18 Partners!